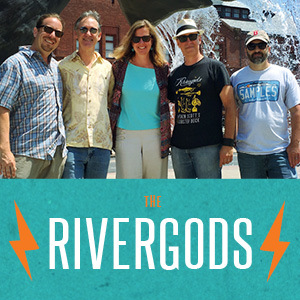 The Rivergods’ entire catalog is available online from Bandcamp, with lots of bonuses and extras! From the alt.country “little band that could” beginnings of Capsule (previously sold out), right up through our most recent album “State of the Union,” all of our past recorded music is available for download in a variety of high-resolution digital formats. For die-hard fans, there’s also our free (did we say free?) album of b-sides and near misses, Rivolver… Check out the links below!